While perusing a secret goodie of mine, Chicago Home and Garden magazine, my face lit up when I saw the photo above. 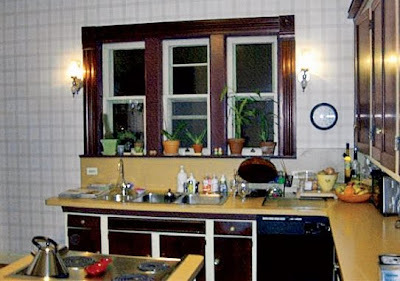 I would move into that kitchen in a heart beat. 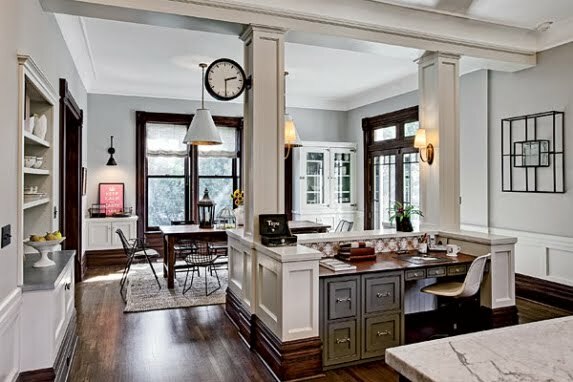 The rich color palette comprised of the dark wood floors and moldings with the soft grey walls and black accents strewn about. This is another perfect example of neutral done right. And it exudes an eclectic feel with the blending of contemporary and rustic furniture, but overall, it maintains a rather traditional look. 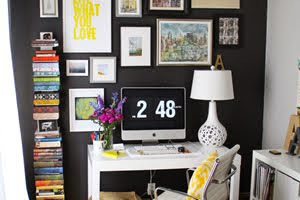 What really makes it that much better is when you see what this space originally looked like. Crazy, right? Totally agree with you about the gray grout. It makes the wall too busy. 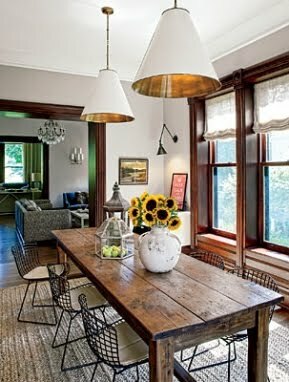 Love the farmhouse table! The gray grout CHEAPENS and brings out the gray in the marble!! Marble is more expensive the whiter it is so why on earth would you want to bring out the gray tones? I also am not sure how often these people really cook, unless you seal your marble 2x a year like my grandmother, it stains too easily. It's still so much more improved than the previous kitchen and much better flow. I love those first images. I am not a fan of gray grout because I think it looks dirty. 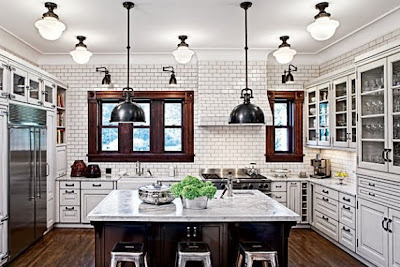 That is a great kitchen, and I'm with you on the grey grout. Why? I also love that table. 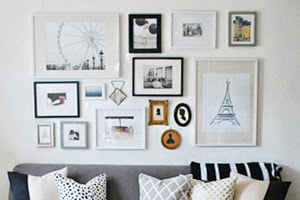 I've been looking for something similar (smaller and round) for our breakfast room and haven't found it yet. I like it because you don't have to be careful with it. That is a crazy before and after! Love that island and the harvest table. That is a very amazing space. I like the dining table and chairs and just the general mix. As for grout - I try to avoid it wherever possible! Incredible makeover! I've never seen lighting done quite like that. Very interesting. chicago home and garden is my favoriteee. love seeing local places! Would love to own these kind of kitchen!!! The dark grout is paramount for the hard look that's going on here. There is severe black/white contrast in effect to achieve the look going on here... it has a 1930's diner look that I LOVE... white subway tile on white grout over that large of a space would look like a low grade hospital... PROPS to the designer.